I love three bean salad. I recently found Del Pozzo’s traditional aged balsamic vinegar at the farmer’s market in Northport and I have been using it on everything! For this salad, the sweetness of the balsamic vinegar offsets the spiciness of the arugula and sharpness of the onions. The entire salad was gone in an instant! Soak beans overnight and cook together in a big pot for close to an hour. 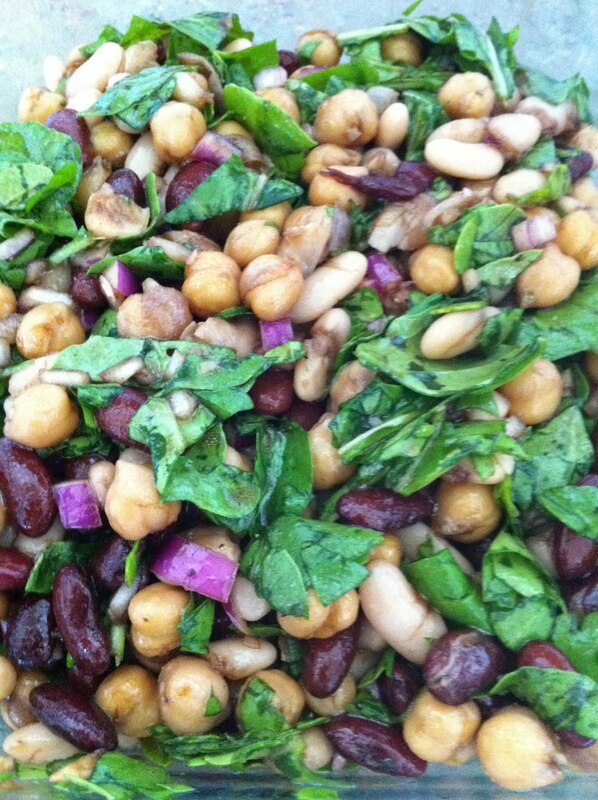 Cut off the stems of the arugula, chop the onion, and mix together with the beans. Dress with olive oil and balsamic vinegar. Season with salt and pepper. Let it sit for at least a half hour before serving!